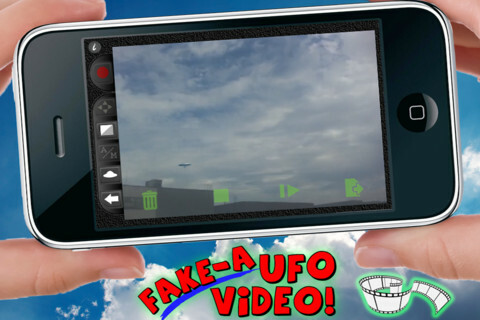 If you read our review of PunkStarStudio’s Fake-A-UFO Video iPhone app, you’ll know it can provide lots of fun fooling your friends and family. Now, it’s time to put your UFO-filming skills to the test for a chance to win a $50 iTunes gift card, and a $10 iTunes Card runner-up prize. Make a video, and get a chance to win money. Bring it on! 1. One entry per person (you are free to resubmit a video to replace a previous one before contest closes though). 2. Send us your UFO video, created with the Fake-A-UFO Video app. Contest ends 1 week after the 100th person enters. 3. Send the video to UFOContest@PunkStarStudios.com. 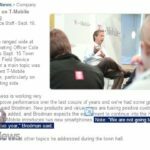 Download links are fine (dropbox, idisk, etc.). 4. We retain copyright of all videos and we’ll upload them to YouTube for everyone to see. 5. The most “liked” video wins the grand prize of $50 in iTunes money. Ties will be decided by us. 6. One runner up prize of $10 (iTunes) for our favourite video that shows either a recognized landmark or a celebrity. To monitor contest progress, make sure you follow @PunkStarStudios or @iPhoneInCanada on twitter. This app is so cool it even fooled one of the news writers from Examiner.com. Good luck everyone! If you want to enter, you’ll need a copy of Fake-A-UFO Video from iTunes for $0.99 (that is if you didn’t win a free copy already! ).